Taken from the Cleveland Clinic Healthy Heart Cookbook. This recipe can be modified, decreasing fat and calories, by using a “light,” low-fat soy milk. 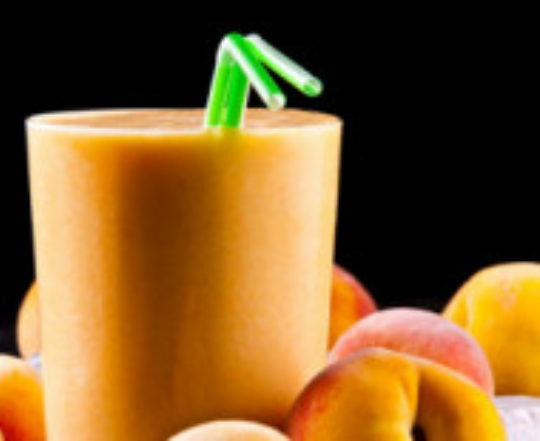 Other substitutes can include skim milk for soy milk or strawberries (fresh or frozen) for peaches. It is a very refreshing and tasty drink for snack or breakfast. Blend items together. Top smoothie with sauce and enjoy!